Daniel Egan was born about 1803 in Windsor, NSW, probably the son of Brian Egan. His mother was Mary Bryan (or Bryant). Egan’s first wife was Mary Ann Piper who emigrated to NSW in 1820 on the Caroline. He had two sons and a daughter named Josephina Agnes (1826-62) from his first marriage. His second marriage, to the widow Marian Cahuac (nee Cheers), took place on 17 July 1843 at St Mary’s Catholic Church and St James Church on the same day. There were no children of this marriage. His second wife with her two children of a former marriage perished in the wreck of the Dunbar at Watson’s Bay on 20 August 1857. Egan died on 16 October 1870, aged 67, at Watson’s Bay. He was buried in the Catholic Cemetery at Petersham, causing consternation among zealots who objected to his alleged liaison with a woman. The body was secretly removed but re-interred after a parliamentary enquiry in 1871. Daniel Egan worked as a foreman and Master Boat-builder at the Government Dockyard in Sydney from 1824 until it closed in 1835. He became a shipping agent and acquired several trading vessels. He also set up as a wine and spirit merchant in George Street. He became insolvent in 1843, but in 1844 he was styling himself as a Gentleman, of 103 Hunter Street. He later moved to Watsons Bay. From 1848 to 1853 he was a magistrate on the Sydney bench and was commissioned as a Justice of the Peace in 1853. Daniel Egan was elected member of the Legislative Council for Maneroo, 1854-56, for Monaro, 1858-59, for Eden, 1859-68 and again for Monaro in January 1870. He strongly opposed the abolition of state aid to religion and the Public Schools Act of 1866. He was Postmaster-General from 27 October 1868 until his death. Daniel Egan was Foundation Councillor for Gipps Ward on 1 November 1842 but resigned in September 1843 because of his insolvency. He offered himself for election again in October 1844 but was not re-elected until November 1846. He served until 31 December 1853 when the Council was replaced by City Commissioners. Egan was Mayor in 1853. 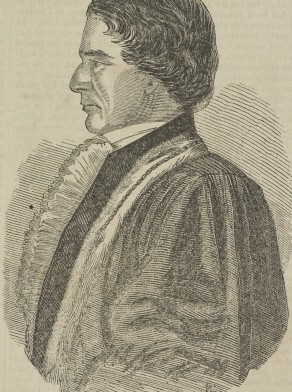 G P Walsh, ‘Egan, Daniel (1803–1870)’, Australian Dictionary of Biography, National Centre of Biography, Australian National University, http://adb.anu.edu.au/biography/egan-daniel-3471/text5311, accessed 18 January 2013.